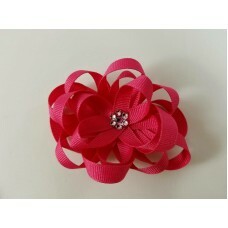 Grosgrain ribbon is used to create the Blossoms & Flowers. These creations are hand cut and heat sealed to be sewn together to create hair accessories that are as durable as they are beautiful. Many colors are available. Please send a message if you have any questions about colors. Custom requests are also available. Ribbon Blossoms are just the cutest! 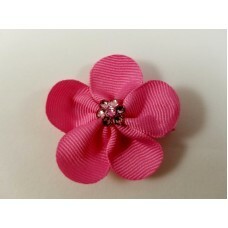 Grosgrain ribbon is hand cut and heat sealed into sweet flower.. 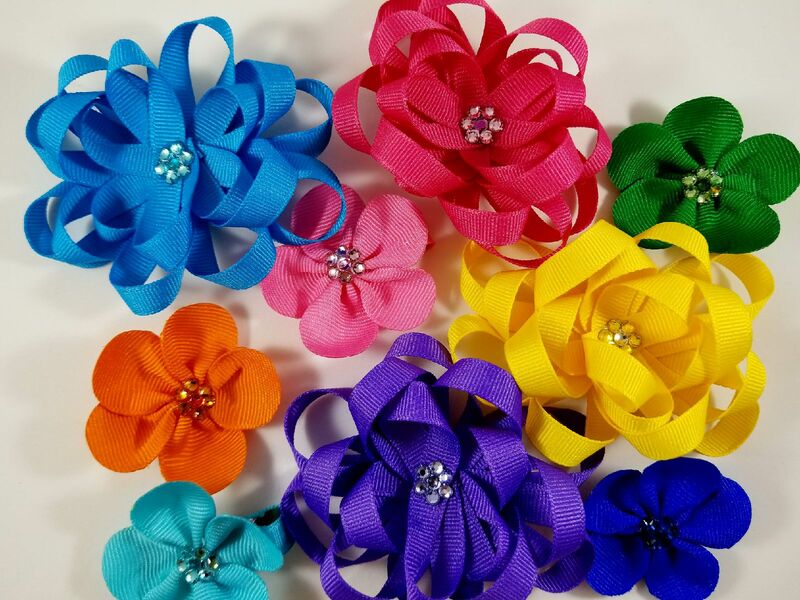 The beautiful Ribbon Flowers are sewn into loops using 3/8" grosgrain ribbon. They are almost 4" a..